The Alistair McCulloch Trio featuring Aaron Jones of Old Blind Dogs, and former Capercaillie whistle wizard Marc Duff, regularly tours and Alistair is also a long standing member of the well known ceilidh band Coila and the Iain Cathcart Scottish Dance Band. 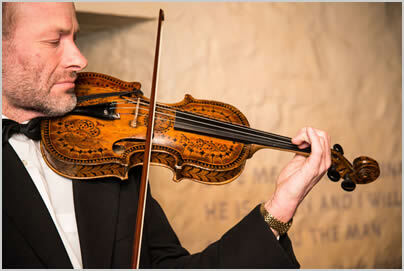 He has also collaborated with many of Celtic music's best known musicians. "As the mountain of fiddle CDs rises even higher, this one can climb straight to the summit ridge". 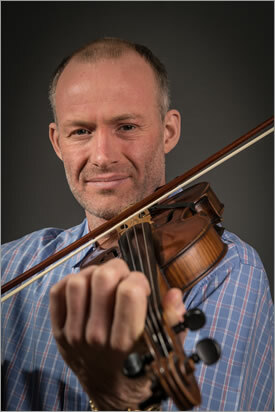 Alistair has directed several fiddle groups and ensembles including the dynamic young group 'Innovation' and was formerly a soloist with the Scottish Fiddle Orchestra. His playing style is driving and precise, described by the Living Tradition as "fresh, fiery and full of fun". Alistair is an enthusiastic and inspirational teacher and has recently been invited to tutor at the Swannanoa Gathering Celtic Week in North Carolina, the Southern Hemisphere International School of Scottish Fiddling in New Zealand, Boston Harbor Fiddle School, the Akademia Muzyczna in Wroclaw, Poland and closer to home, Feis Rois in Ullapool.